A newly released survey of 5,550 parents in 16 countries around the world finds that most – 77% – would consider sending their child abroad for either undergraduate or postgraduate studies. Learning for Life is the latest instalment in HSBC’s The Value of Education research series. It was published earlier this month by HSBC and is based on a nationally representative survey of parents in each country who have at least one child aged 23 or younger. The survey was conducted online in March and April 2015 by Ipsos MORI (with supplemental in-person interviews in the UAE). The 16-country sample features a number of key sending markets for international students, including Brazil, China, India, Indonesia, Mexico, and Turkey. The research team found that a majority of parents in each country would consider study abroad for their children. Nearly two thirds (64%) would consider overseas study for their child’s undergraduate studies, and a greater majority (seven in ten) would consider it for postgraduate study. 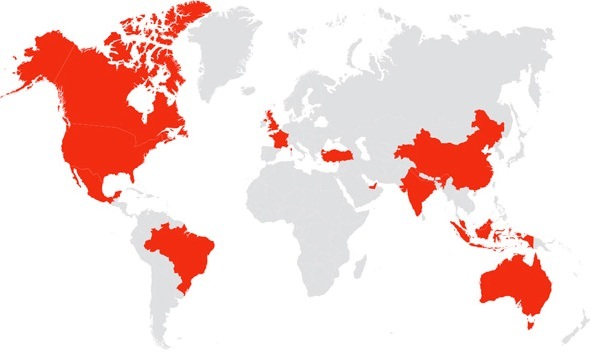 HSBC highlights a number of countries as potential hotspots for postgraduate demand. Parents in India (88%), Turkey (83%), China (82%), and Malaysia (also 82%), were especially likely to consider postgraduate studies abroad for their children. More broadly, half of all parents responding to the survey believe that their children’s generation has more opportunity for study or travel abroad than did their own generation. Nearly eight in ten (78%) saw the prospect for students becoming more knowledgeable about the world as a key benefit of a university education. And just over half (51%) valued study abroad as a chance for their children to live overseas and experience different cultures. On a related note, HSBC also found that those inclined toward study abroad for their children are often also open to paying more for university studies overseas than they would expect to pay at home. Four out of five parents interested in study abroad would consider paying more for an overseas university. The following chart reflects variations from country to country in the sample, but also points out that nearly half (45%) would consider paying up to a quarter more (that is, above the costs of a university education in their home country) while just under a quarter (24%) would consider paying up to 50% more for university studies abroad. 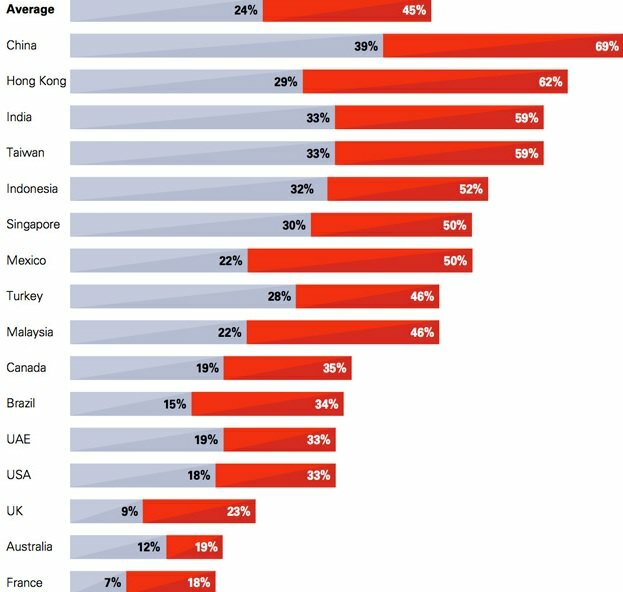 Needless to say, the HSBC effort is a high-level survey covering a wide range of developed and emerging economies and, particularly in that context, global findings have to be considered very carefully indeed. However, the overall impact of the HSBC research is to create an evidence-based sense of perspective from the marketplace. Given the key role that parents play in the study abroad planning of many students, that is a highly valuable perspective indeed. The first report in The Value of Education series last year provided similarly interesting insight as to the parents’ view of the relationship between price and perceived quality. Readers are encouraged to review our earlier report on the 2014 research for additional background and summary findings. This entry was posted in Asia, Australia, Australia/Oceania, Brazil, Canada, China, Europe, France, Hong Kong, India, Indonesia, Malaysia, Mexico, Middle East, North America, Regions, Research, Singapore, South & Central America, Taiwan, Turkey, UAE, United Kingdom, United States and tagged student recruitment, postgraduate student recruitment, Indonesia, universities with international students, marketing study abroad to parents.